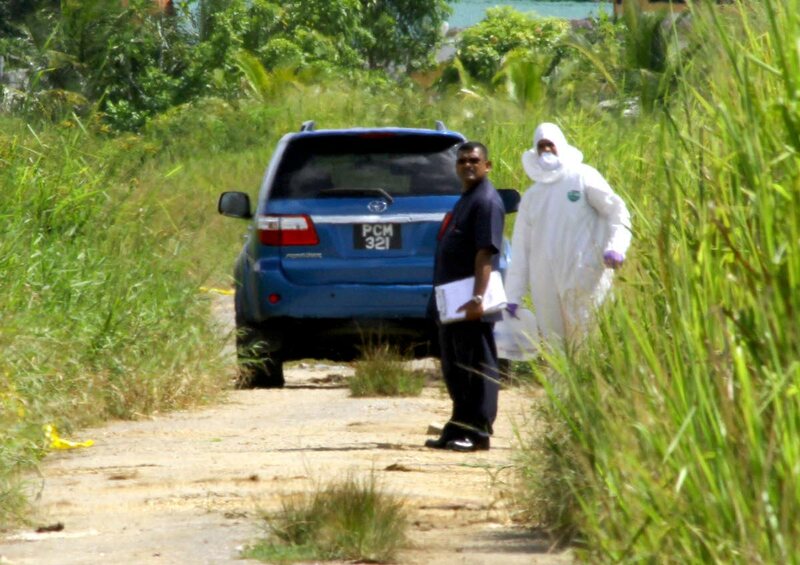 Police stand near the car in which the body of a man was found at Warren Road, Cunupia. THE body of a man was yesterday found in bushes on Warren Road, Cunupia in a Toyota Fortuner SUV. While police have not confirmed an identity as yet, they believe the dead man could be Jose Tito Rivas, an El Salvador Embassy driver. Cunupia police got a report yesterday, at around 9 am, about a car found on the road near some bushes. When they checked, they found the body wrapped in a sheet in the car. The car, which had the registration number PCM 321, is said to be registered to the El Salvador Embassy, where Rivas worked. Rivas was also reported missing, and was last seen in St James according to police. The body was removed to the Forensic Science Centre in St James. Calls to the embassy went to voice mail. Newsday contacted Commissioner of Police Gary Griffith who said he does not comment on ongoing investigations. Reply to "Body found in Cunupia may be embassy worker’s"